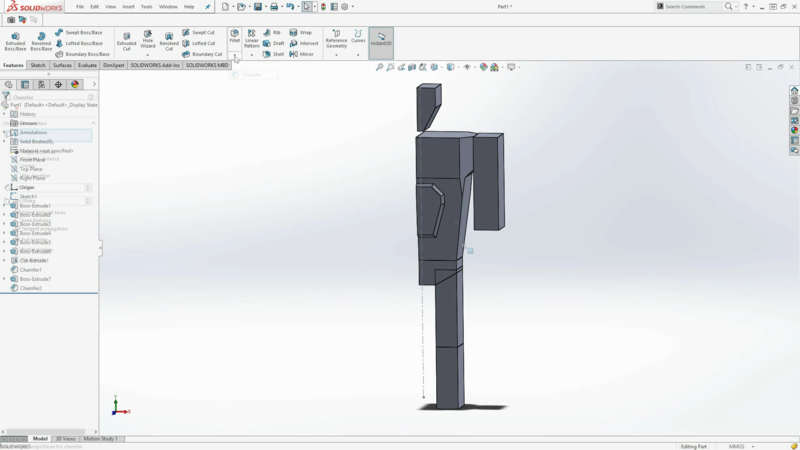 In this tutorial we will be showing you how to create two awesome models. 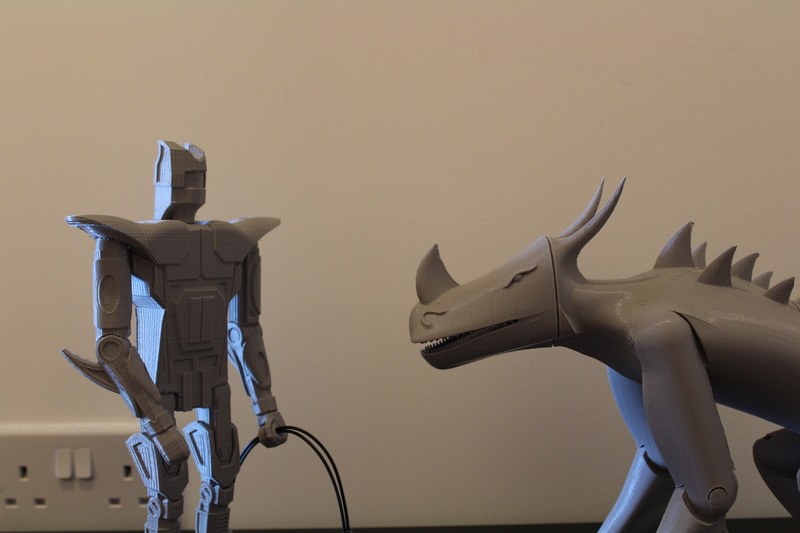 One is a mechanical warrior and the other an organic Kaiju. 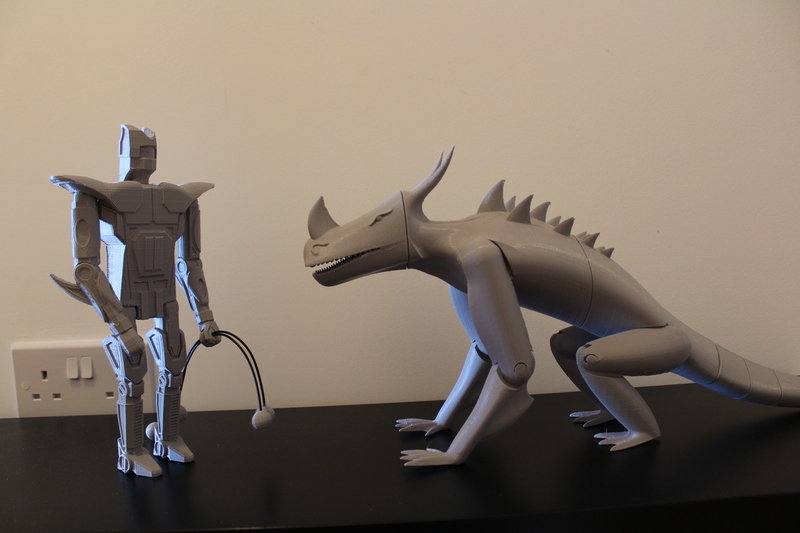 Not only will we be modelling these two models but making them 3D printable too. 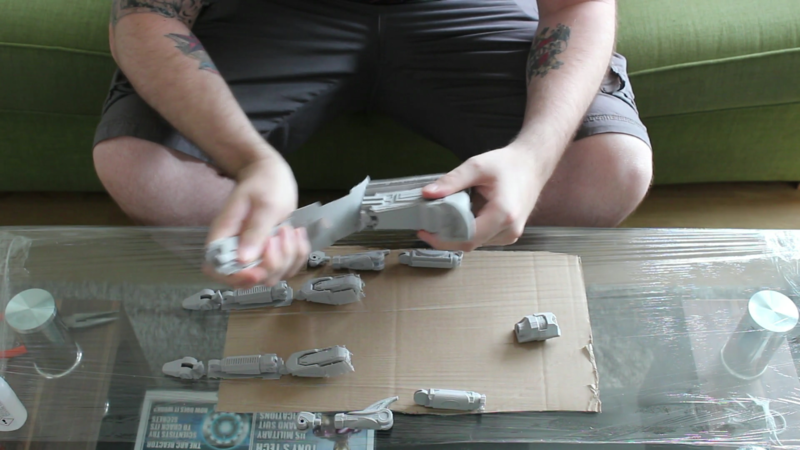 This will be part 1 on 2 tutorials where we will be focusing on the making of the mech warrior. Click here to see part 2 covering the kaiju. Now the modelling for the mech warrior was fairly simple as the shapes to create these are all dimensional and symmetrical. With this we only needed to model one half of the character, and mirror the bodies and join them together. 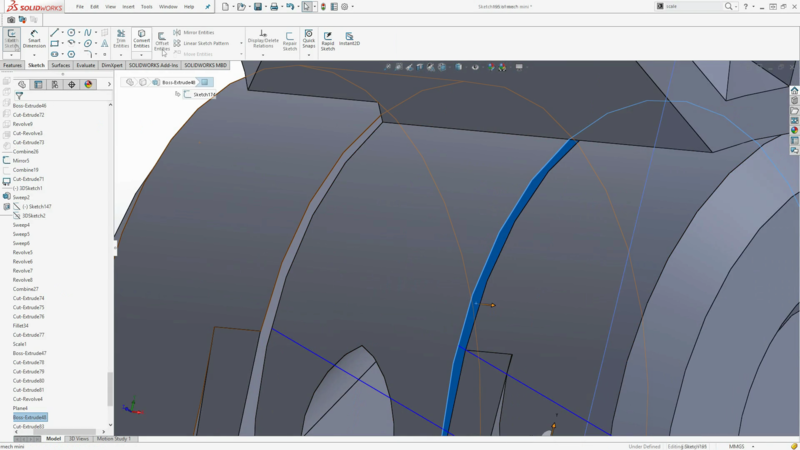 Any asymmetric parts would be added after the mirror feature. 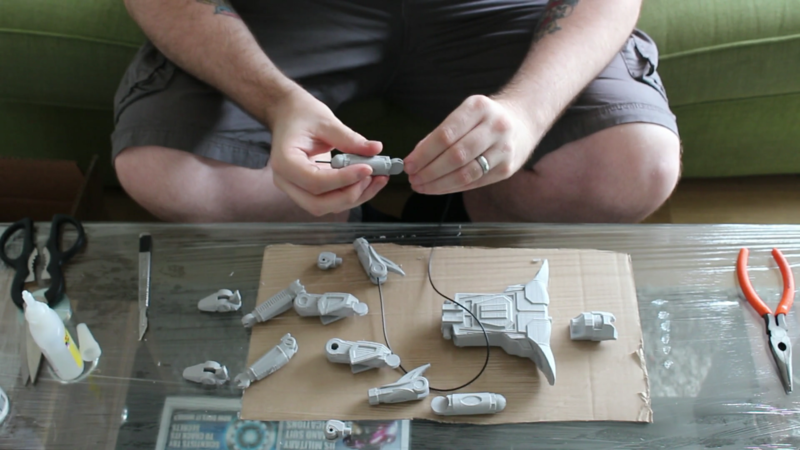 Once the model was complete it was time to go back and add the joints and tolerances to make this model 3D printable. 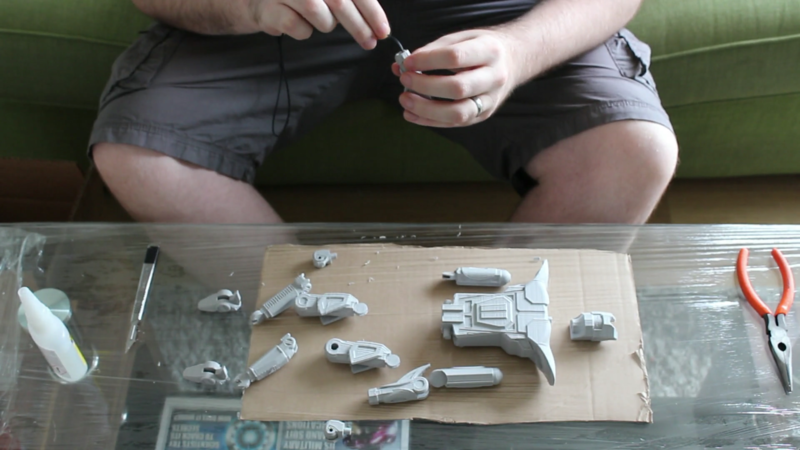 The areas were too small to add complex clips and joins as with 3D printing the smaller you the more detail you will lose. So we relied on simple interference fits for the hips and a looser puppet style of joining using string. For the tight fits we used a tolerance gap of 0.3mm and for the loose joins we used a tolerance gap of 0.5mm. 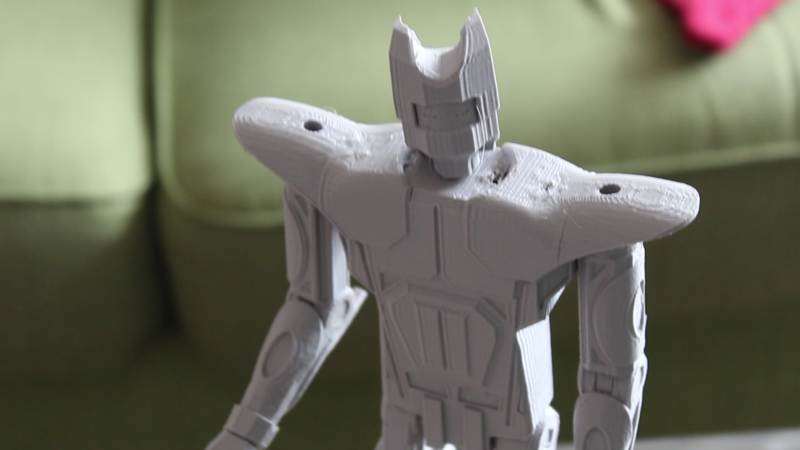 The printing process of this model went flawlessly (with 3D printing there is so many factors that can make it go wrong it a relief when it all works out). With the main body we had to print out what is called support material. 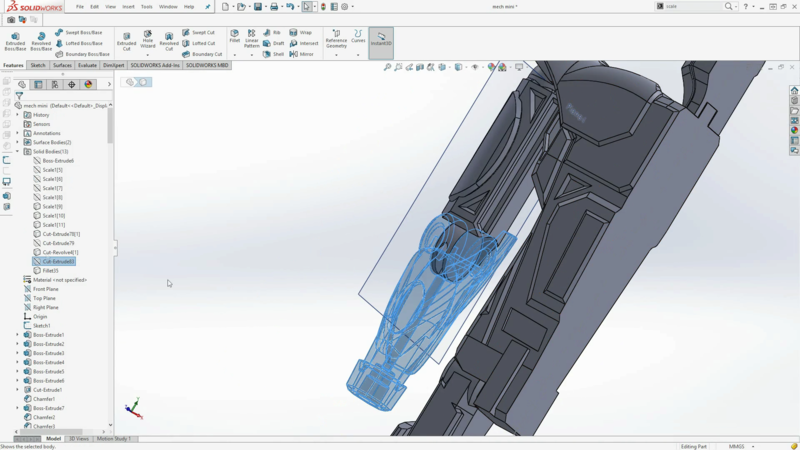 This is extra material is created to, well support the model. 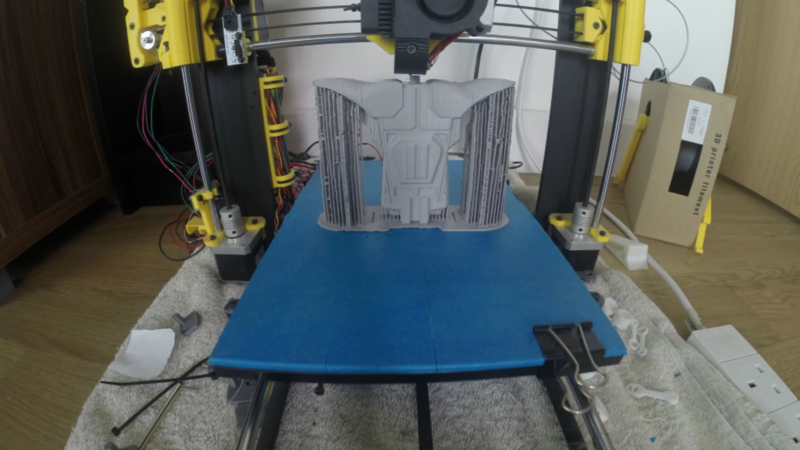 This because gravity, you can’t print on mothing so the support material saves the day for the shoulder pieces and keeps the detail and shape we designed. The support material is built to break off. The problem is it does increase both materials and time used. But can also scar the surface. So we try avoiding support material at all costs and only using it when it is absolutely necessary. Once all the part was printed and cleaned we moved onto assembly. We threaded the ninja flex through the holes in the limbs and tied them down. A drop of super glue held the knot in place and tight, we did this for all four limbs. We attached the hands and feet and attached the head. 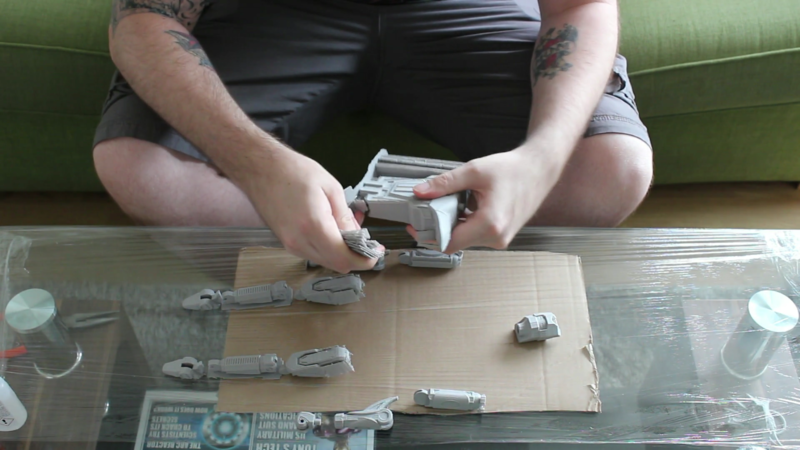 We then had four little balls printed and attached to ninja flex as a weapon. The Ninjaflex we used was an elastic material. 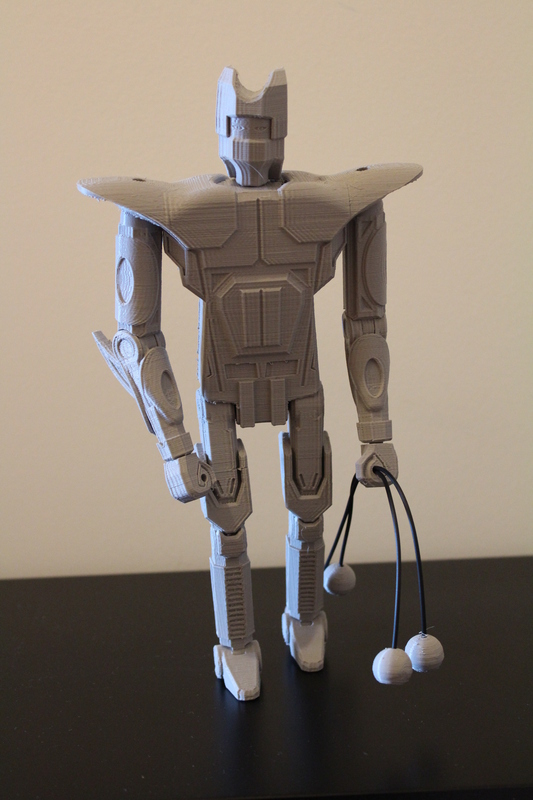 It is actual a 3D printing filament so you can actually print with it. This material allowed the joints to stay tight by tying down the ninjaflex tight and give the joins flex. And the articulated Mech warrior is complete! Now you could go ahead and design various other weapons and interchangeable heads. The possibilities of where you could take it from here are endless. This why it remains grey, so you can add you own color scheme, your own look. 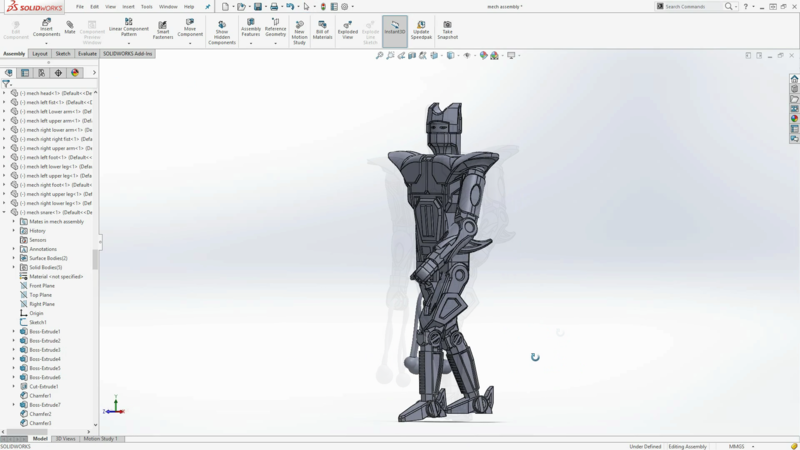 We hope to some users using this tutorial to create their own mech warriors and 3D print them out, whether is a toy for a your child or a replica from your favorite monster movie this tutorial can be the stepping stone to awesomeness. 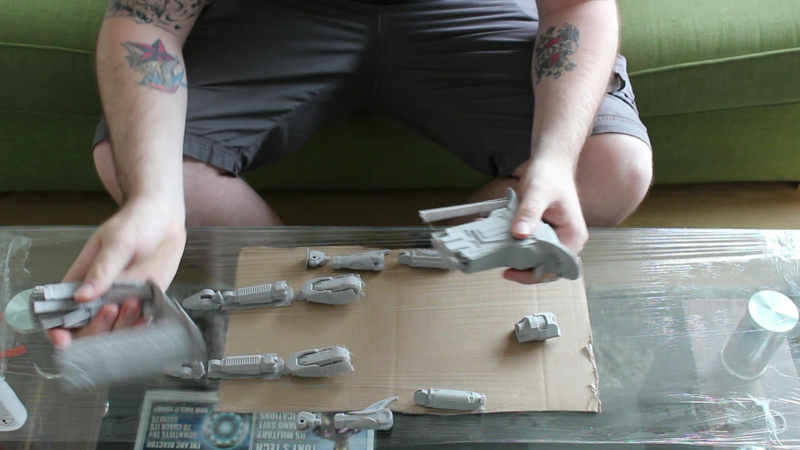 In the next tutorial we will be going through how to build our mech warrior’s rival, the awesome Kaiju. 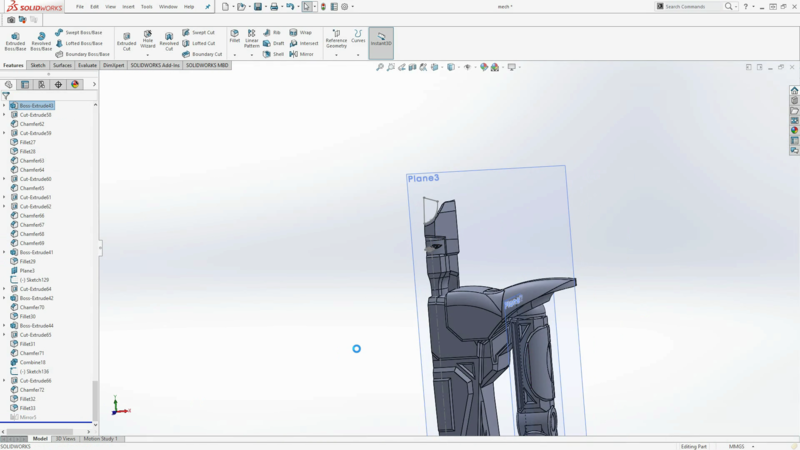 Be sure to check out the below video to see a time lapse of the art to part mech process, then click the banner to download the models and see how the mech design was tested against kaiju collisions and seismic forces in SOLIDWORKS Simulation.